(YDR) When York's City Market was erected in 1878, Baltimore shipbuilders had to be brought into town to hoist its massive trusses into position. Architects lauded the building's innovative design -- a mix of Victorian and Gothic created by noted York architect J.A. Dempwolf -- and it was featured in American Architect and Building News shortly before its opening. The building's vaulted interior was said to resemble a cathedral, but the size was even grander. With two additions that would later be added, City Market measured 50,000 square-feet, dwarfing Central Market's 35,000. 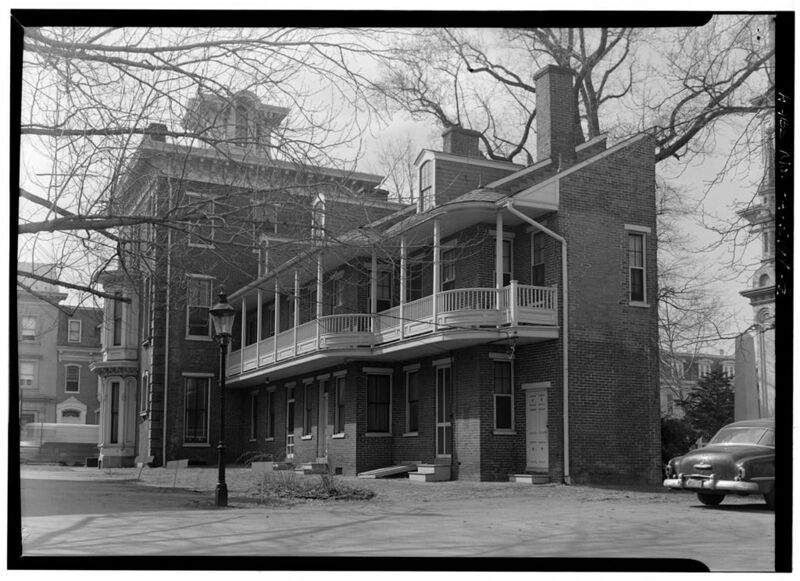 Photos: Billmeyer House, 225 East Market Street, York, York, PA. Significance: An excellent example of an elaborate Italianate townhouse. Also significant as the home of Charles Billmeyer, railroad car magnate. 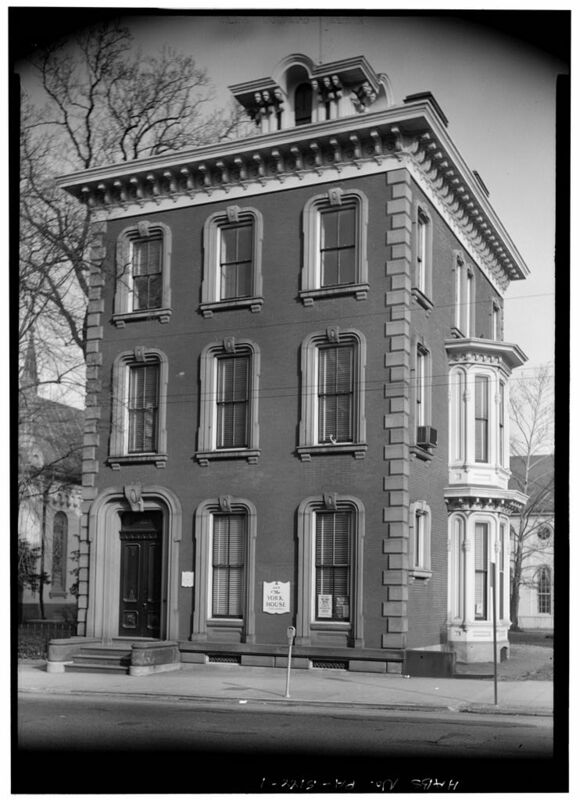 (Library of Congress).